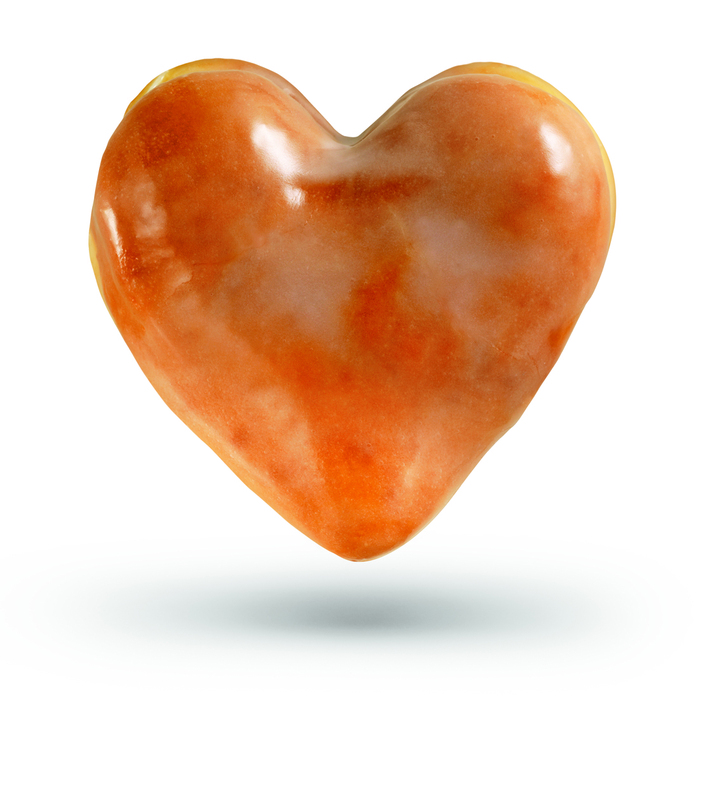 We have a new 140 calorie donut, it's called the Lite-Hearted Donut. I know that your blog covers wine/spirits, but I was wondering if you have ever tried a sweet fried donut with a glass of champagne? Donuts and Champagne? My eyes glazed. I’d discovered a hole that needed filling. My mission was ‘clair…er…clear. I snagged a couple of bottles of bubbly, tucked them away in the fridge, and headed to Busken where my box of deliciousness awaited. So, what the story with this “Lite-Hearted” donut? Well, first off, according to the (ahem) nutritional information, a standard glazed donut contains about 300 calories with 16 grams of fat. Each of the “Lite Hearted” donuts apparently contains only the aforementioned 140 calories, 2.5 grams of total fat, and no saturated or trans-fats. "There is no such thing as a bad donut." The first thing most people will notice, however, is that these donuts are cutely heart-shaped. Sizewise, it’s about 10% smaller than a “standard” glazed donut. There’s also no glaze on the bottom, which probably trims a few calories. How’s it taste? The biggest difference I could find between the Lite Hearted and a regular donut is the texture. The “meat” of the donut has a very similar flavor, but it’s a little drier and cakier. The glaze tastes like glaze. All in all, especially considering how most “diet” foods taste, I thought it was pretty daggone tasty. I took some to work with me where some of my coworkers “reluctantly” agreed to test them with me. The feedback was universally positive. I’d get them again without hesitation. But what about the main experiment – the bubbly pairing? Much as I would have loved to pop the bottles and test these sweet fried morsels of deliciousness out that morning, I impatiently waited until I got home from work so I could make these little hearts into an appetizer. As I’ve said on numerous occasions, there are few more food-friendly wine options out there than sparkling wine, mainly because it goes so well with almost anything that has some fat in its construction. KFC, pizza, potato chips, cheese, paté…you get the idea. Donuts fall firmly into this category. Now, as you can see, neither of these are technically “Champagne,” since that term is limited to the bubbles from that particular region of France – and because we’re still in the throes of the kitchen remodel, I (like most folks) couldn’t afford to go with a bottle of White Star here. Both these wines were crisp. The Bertrand had the distinct yeasty aroma that many French sparklers share along with a restrained green apple flavor. The Zèfiro had more tropical fruit flavor flavor and wasn’t carbonated quite as strongly. The shared opinion of Vine HQ was that the French bottle was more pleasant to drink on its own. On the actual Busken/Bubble amalgamation – we had a split decision, although we agreed that either bottle was a workable match. The Sweet Partner in Crime enjoyed the Prosecco more with the donut. The sweetness of the donut meshed better with the Prosecco’s fruit, she said. I thought the French bottle was the better counterpart. The yeasty character of the wine lined up better for me with the cakey texture, and I just liked the combination better. 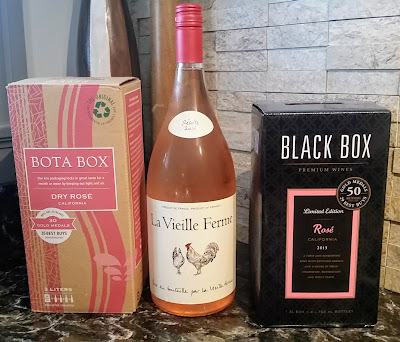 I certainly welcomed a fortuitous visit from the Wine Fairy during our culinary deconstruction/reconstruction. (And thanks again to Folsom & Associates for the shipment.) 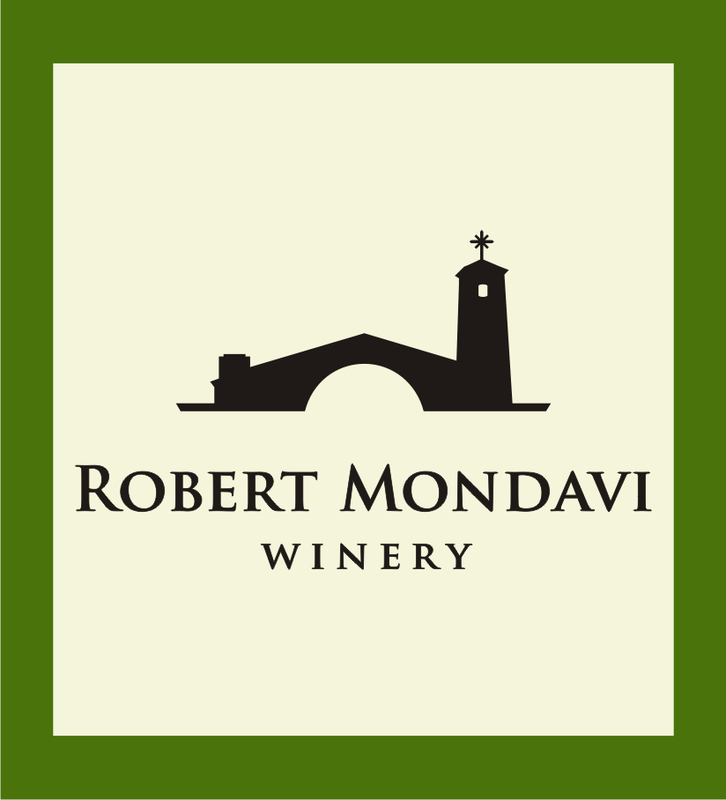 The most recent included a pair of bottles from Robert Mondavi’s Napa Valley collection, which was the second time this brand of lightning has struck. You may remember I had the opportunity to try the Napa Valley Pinot Noir and Chardonnay in October. After this latest shipment, I have only the Mondavi Napa Valley Merlot to try to hit for the cycle. Robert Mondavi 2010 Napa Valley Fumé Blanc – To help avoid confusion, the fume blanc label actually includes the helpful note “A Sauvignon Blanc.” When Mondavi grew the first Sauvignon Blanc grapes in California back in 1968, they called the wine “Fumé Blanc” as a hat tip to Pouilly-Fumé, a French version of Sauvignon Blanc. (Other French Sauvignon Blancs include Sancerre and whites from the Touraine region.) The Mondavi version is 94% sauvignon with 6% Semillon blended in. The description said that this sauvignon blanc “reflected Napa Valley” – which I took to mean that it would be made in a richer, less acidic style. My suspicions were confirmed. While citrus is certainly the order of the day, the acid level is considerably lower than, say, one of the aforementioned French versions. The dominant flavors run more to the melon end of the spectrum than the grapefruit end. It’s full bodied, reasonably complex and a bit creamy. I thought it was quite nice. Alongside a foil-pack fish with tomatoes and herbs, served over some couscous, it complemented a very workable meal which we enjoyed down in our cave. At $20, perhaps a bit pricey, but if you’re looking for a California white that’s subtle and flavorful, it’s a good option. 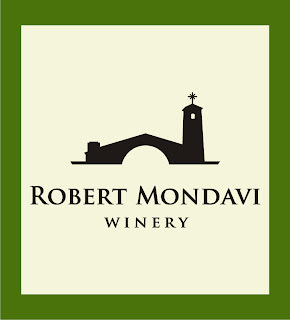 Robert Mondavi 2010 Napa Valley Cabernet Sauvignon – I was really looking forward to giving this wine a try, especially after the positive experience I had with the Napa Valley Pinot Noir. Sometimes during a major construction project, you’ve gotta treat yourself. The Sweet Partner in Crime picked up some filets at the store. We deserved a good dinner to rise above the chaos, and I thought this Cabernet (a little over 80% Cab Sauv, with the balance as Merlot, Cab Franc, and Syrah) was a potentially great accompaniment. Cabernet Sauvignon was, after all, the grape upon which Mondavi built its reputation, so signs seemed positive. Steaks were grilled, mushrooms were sautéed, etc. I opened this bottle, decanted, poured, and...well, in so many words -- Meh. Maybe I’d raised my expectations too high. This certainly isn’t a *bad* wine. It’s a perfectly serviceable cabernet. Flavors are in the right place, medium body, not hugely tannic – but nothing really jumped out. This wine seemed restrained. I know I talk about “balance” in wines a lot. Whether a wine is big and tannic or light and fruity, I think of “balance” as a chorus. Some individual voices may be louder (or flavors may be stronger) than others, but they all work together in harmony. With this wine, the flavors are more reminiscent of people conversing in a waiting room, consciously keeping their voices down so they don’t stand out. With dinner and with chocolate, it wasn’t bad – it just didn’t add much, in my opinion. At $28, I think I could find a wine that better suits my tastes. We had a quick tour of the contemporarily decorated restaurant before the meal began. Seasons 52’s distinguishing architectural feature is the stone split-face mosaic walls which closely resembled one area of our kitchen-to-be. The restaurant had lots of mahogany, warm lighting, and high ceilings throughout. The patio (which will look much better when it doesn’t open onto a construction site) and several private dining rooms available for meetings, receptions, etc. The open kitchen was interesting to me because of what wasn’t there. There’s no fryer. I learned no butter is used in the preparations. The hook of Seasons 52 is that no item on the menu, including desserts, contains more than 475 calories. The menu changes seasonally and leans heavily on mesquite grilling, brick oven cooking, and caramelizing. I asked about the portion sizes at one point. Most entrees apparently run 6-8 ounces of protein plus a vegetable and a starch. I wondered how an 11 oz. steak could be that calorically miniscule. The answer, apparently, is a particularly lean stock of Piedmontese bovine. Would you buy a wine pairing from this man? Our tour ended at the long piano bar where different live musicians play 7 days a week. Our pianist for the evening played an eclectic mix. (I’ll admit I’ve never heard Weezer’s “Sweater Song” done quite that way.) At the bar, we met George Miliotes, our emcee for the evening. The affable Miliotes (one of the world’s 180 Master Sommeliers, apparently) started us with a glass of Chartogne-Taillet Champagne to go alongside samples of a pair of appetizer flatbreads – one an artichoke and goat cheese, the other chipotle shrimp with roasted poblanos and feta. I enjoyed both as Miliotes gave us some background on the restaurant and introed the wine list, which includes 65 wines available by the glass – any of which are also available as a 1 oz. sample for experimentation purposes. After a few minutes of get-to-know-you and bubbly, we adjourned to our table where we met Clifford Pleau, Season 52’s executive chef. He and Miliotes have worked together for the last 20 years, as some of their banter indicated. We wasted little time getting to the meal itself. We started with a crab and avocado amuse bouche – which reminded me of a crab quesadilla, minus the tortilla. A Vinho Verde alongside served as a nicely crisp aperitif. From there came a cedar plank roasted salmon filet with a grilled sea scallop skewered on a stalk of lemongrass. The salmon was fresh, moist, and flavorful. The scallop was divine. The wine pairing was a medium-oak Central Coast California chardonnay, which played off the seafood and the grill char. Next up, the salad course. The salad, comprised of organic field greens, grilled mushrooms, toasted pistachios, and truffle dressing was served (as are most of their salads) in plastic tubes and shaken out on the plates to present more aromatics from the dressing. Truffles. Yum. I wouldn’t have thought Carneros pinot noir with a salad course ordinarily, but with truffles? Why the heck not! From there, we had goat cheese ravioli, roasted garlic, and shredded basil in an organic tomato broth. My ravioli might have been a bit undercooked, as it had soaked up much of the broth by the time the plate arrived and was still a little bit dry. Still very flavorful. The wine pairing here was a Cabernet Franc from Bordeaux. It was a very solid choice, but I would have leaned towards a light Italian red as is my usual preference with such flavors. The “main” course was a mixed grill of Piedmontese strip steak and Manchester Farms quail, mashed sweet potatoes, and red wine sauce. For me, this was the highlight of the meal. The strip steak was done a delicious medium rare and had no fat that I could see. The quail took a little surgery to get at the tender, scrumptiously seasoned meat, but it was worth it. We had two wine pairings here – a Cabernet blend from South Africa, which was quite tasty, and a Spanish Garnacha, which was full and almost creamy. The Garnacha was an especially enjoyable pairing. We finished up with “mini indulgences.” These are small desserts served in square “cordial style” glasses. At the end of a big meal like that, however, I usually don’t want more than a few bites of something sweet. I went with the key lime pie. Other options included carrot cake, pecan pie, rocky road, chocolate peanut butter mousse and various others. The dessert wine, a luscious German Riesling Auslese, was dee-lish. Now, I fully understand our little media gaggle was getting a special preview of this establishment, so I expected everything to be really good. It was. For this type of restaurant, I would heartily endorse it for the flavors alone. However, I had one major unanswered question –cost. The restaurant website (http://www.seasons52.com) lists the complete food and wine menu without prices. I’m normally of the “if there’s no price listed, you don’t want to know” school. Kelly McMillan, field manager of the Cincinnati location, was happy to provide the local menu. You know what? It ain’t overly painful. Wines by the glass range from $6.50 to $18. (The most expensive we had was the Champagne, which would have been $14.) The flatbreads were $8-10 for a generous size. Small salads run $6-9, while entrée salads were $12-16. The most expensive item on the menu was a bone-in strip steak at $28. The “mini indulgences” are $2.50 each. Not cheap, but less expensive than I expected. The Cincinnati location opens today, Monday, February 4. I’d say it’s certainly worth a try if you’re a fan of restaurants like P.F. Chang’s, J.Alexanders, and other upscale casual options. For a different (and more photographic!) view of the evening, here's Adventure Mom's review.